Semi-detached House over 2 floors, with wonderful sea and mountain views under construction in Polop. 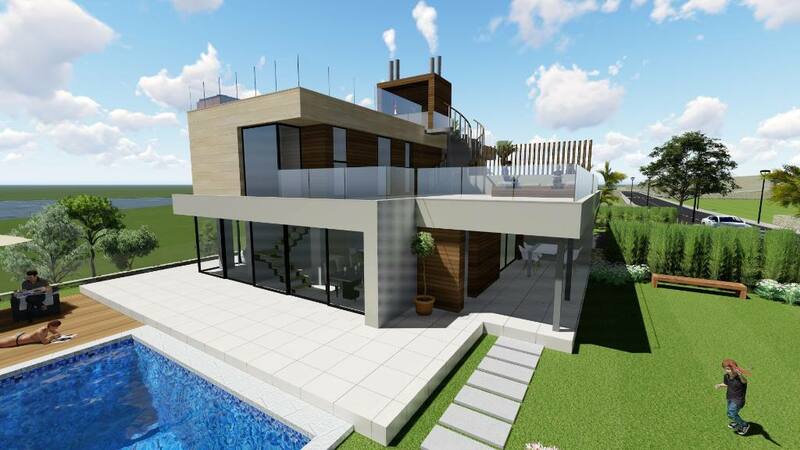 Plot area of approximately 513 m2 and a constructed area of approximately 148 m2, with large terraces of 162m2. Modern style with materials and finishes of the highest quality with terraces, gardens, private swimming pool. The construction work is started, and it is possible to influence the choice of materials in connection with the termination of the building.